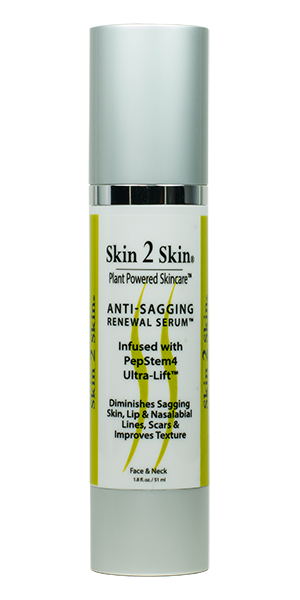 Truth in Aging’s 2017 Best Sagging Skin Serum is Skin 2 Skin’s Anti-Sagging Renewal Serum lift, firm, tighten & renew sagging skin. Read more about our award here! 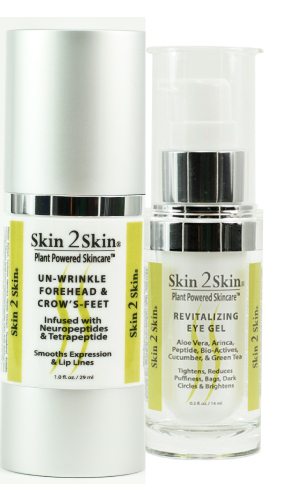 Un-Wrinkle Forehead & Crow’s-Feet Cream acts as an injection-free expression, forehead, crow’s-feet & lip line smoothing and preventive cream.